Kennel Ignaheim driver oppdrett av Korthåret weimaraner i hjemmemiljø. Målet er å avle gode, rasetypiske hunder med hensyn til både eksteriør og bruksegenskaper. I tillegg skal hundene være sunne både mentalt og fysisk slik at de fungerer godt både på jakt og i hverdagen. Avlshundene skal som et minimum tilfredsstille de til enhver tid gjeldende avlskrav som Norsk Weimaraner Klubb har. Valper selges kun til jakt- og friluftsinteresserte. 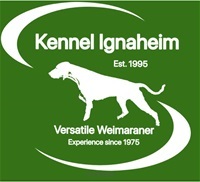 My history with weimaraners starts back in 1975 when I was 5 years old and my father bought his first weimaraner. Since then the breed has been very close to my heart. 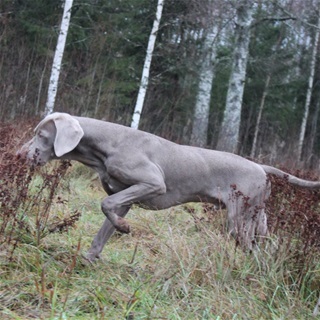 I want to breed weimaraners for versatile hunt like the breed is meant to be. Hunting skills combined with an excellent exterior is very important to me because only a correct built dog can work at its best! The goal is healty weimaraners that can and want to work! If you have any questions about puppies or males for breeding please feel free to contact me on e-mail! I cooperate with Jaktpartners.com and am a proud member of their team! Jaktpartners offers all kinds of dogtraining. 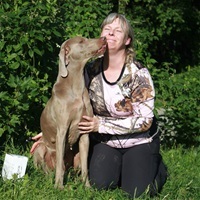 Here you can get help with training your dog for hunt and trials but also if you have some problems with your dog of any kind. Jaktpartners also offers hunt- and fishing travels in Sweden, Norway and Germany.